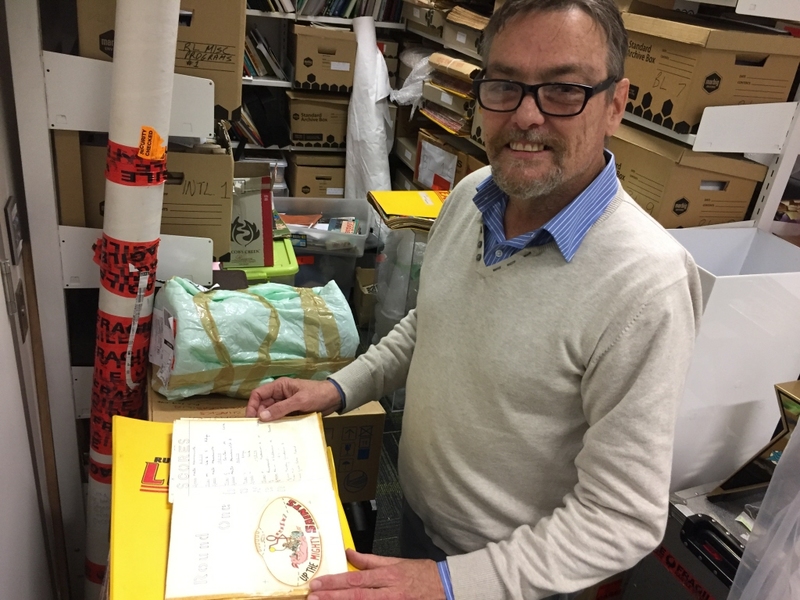 Terry Williams is the Curator of the museum at NRL headquaters, he has published a couple of books on Newtown Rugby League history. Beautiful, Ashcroft in Green Valley. Pretty enjoyable childhood, saturated with sport, cricket in summer and football in winter. It was the pre-internet era. I am one of seven, middle child syndrome, six boys in that so we didn't have any trouble getting games of footy. I played football all through my school and university days. I wasn't as good as I would like to have been but had a lot of fun along the way. After I finished playing I coached on and off for 20 years. I was a teacher and when my son started playing I had 12 years coaching at his various schools, and with Concord-Burwood Wolves. When did you start your collection and what did you collect in the beginning? I have always had a passion for history and as a kid I was very interested in war history. My passion for league and cricket was a natural extension of that. I started reading about Don Bradman and I would read anything and everything I could. 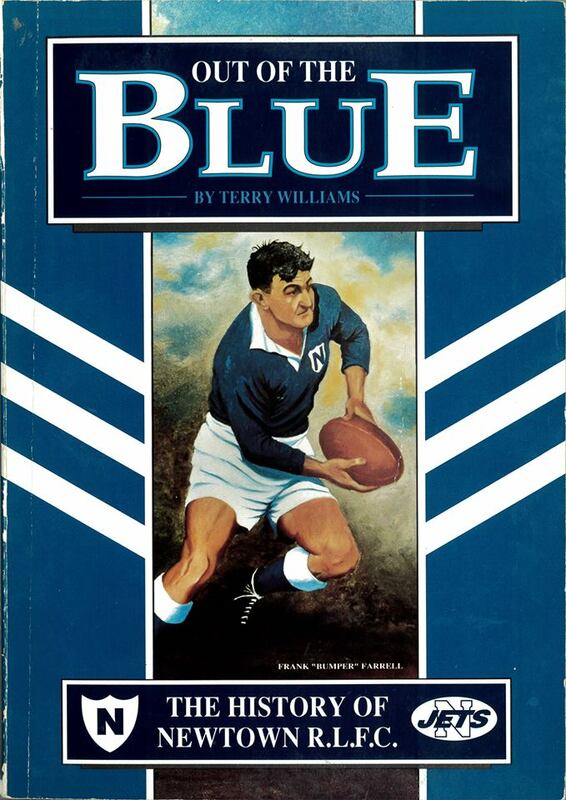 I remember in the 70's the Liverpool Library had the Gregory's Guide to Rugby League and Jack Pollard's 'Rugby League - The Australian Way' was about all you could get, other than the Big League and Rugby League Week. Information was pretty scarce in those days, these days I don't watch TV, I look up information on old footballers. How have your interests developed? I was interested in both World Wars and I was a History teacher for ten years. 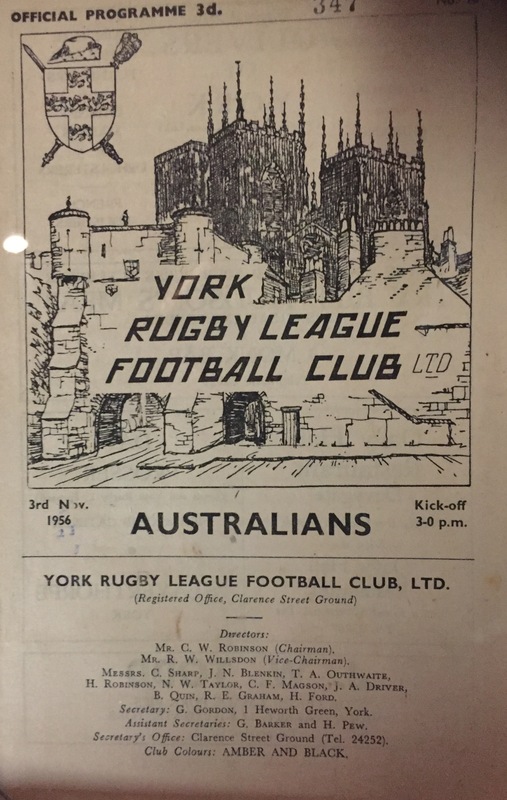 One of the things I have been doing for the last twenty years is researching Rugby League during the First World War. I started with a data base of 10-20 players who served during the First World War, I am up to 1,300 now. We are in the process of finalising a documentary on it which we are up to the final stages editing, waiting for a last installment of money. SO if anyone out there has won powerball lately, give me a ring. What were your most memorable experiences with collecting as a child ? I was probably restricted by what was around then, we didn't have a huge amount of merchandise as there is now. I collected Big Leagues, Rugby League Weeks and I remember the Footy Cards of course. 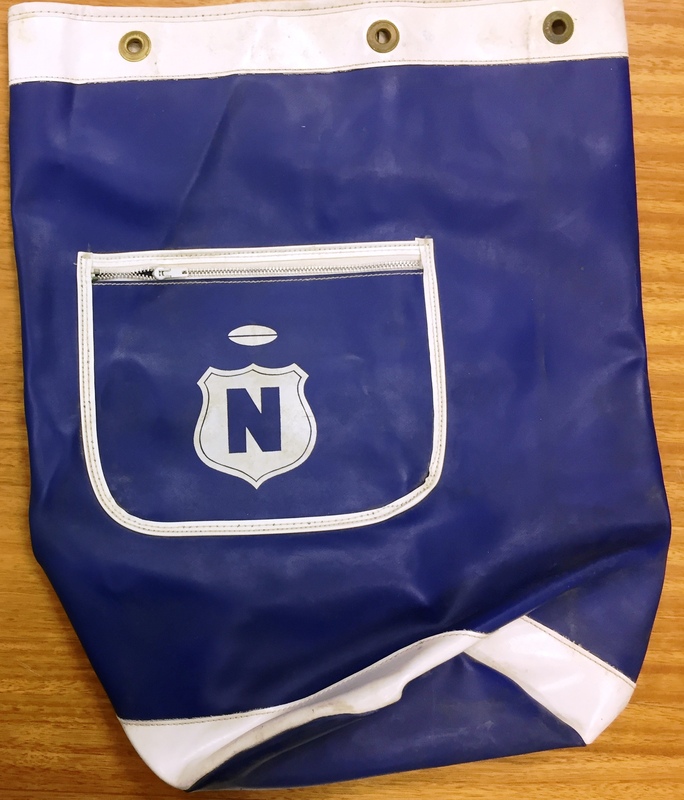 Some of the bags you see and casual wear just seemed to be starting in the late 60's and early 70's. 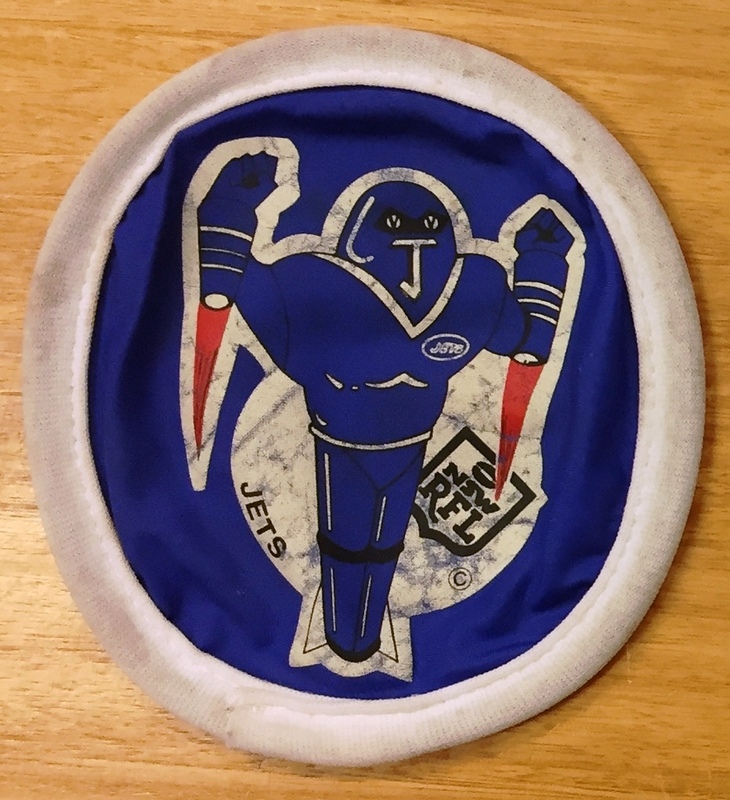 I remember going up to Miller Shopping Centre, I actually had a bit of a soft spot for the Dragons in those days, Graeme Langlands and Roy Ferguson were there, so I ordered a Dragons jacket which was a bit more stylish than wearing a Newtown jacket in Sydney's Western Suburbs. Why did you like Newtown ? 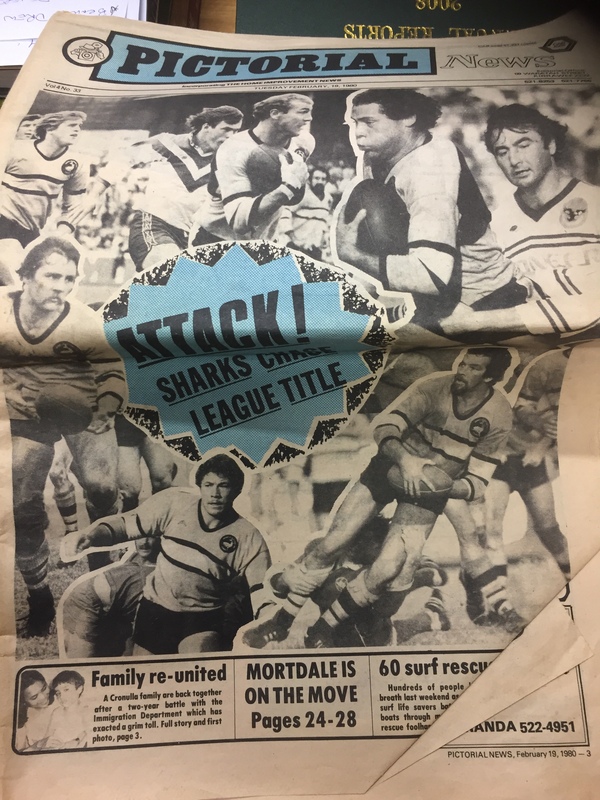 I was actually born in Marrickville and my father played for them in Third Grade in 1961, only a handful of games and my mother was from there, so I didn't really have much choice. What do you collect now ? Having worked in the game for 20 years and having done a few books and stuff, I have made contacts, crossed paths with people here, there and everywhere. Some of the most valuable stuff I have got has arisen from that sort of situation. 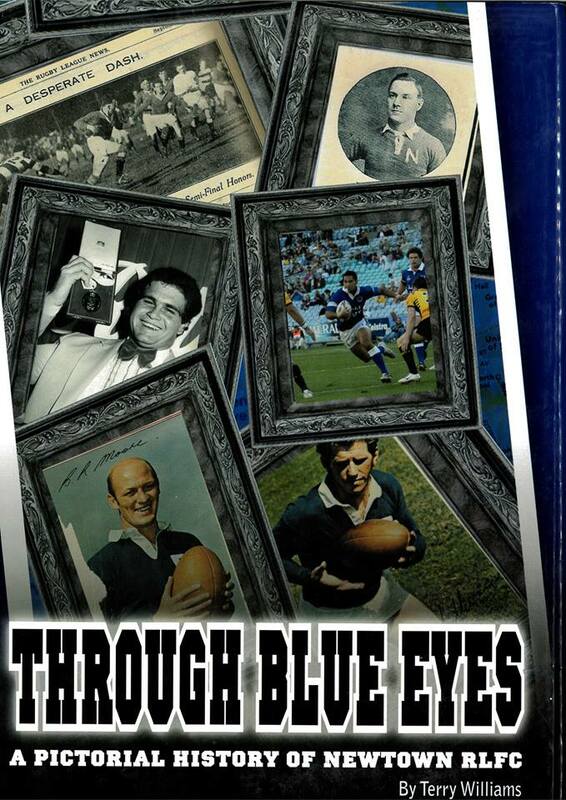 When I did the first Newtown book I included the link between Rugby League and cricket. 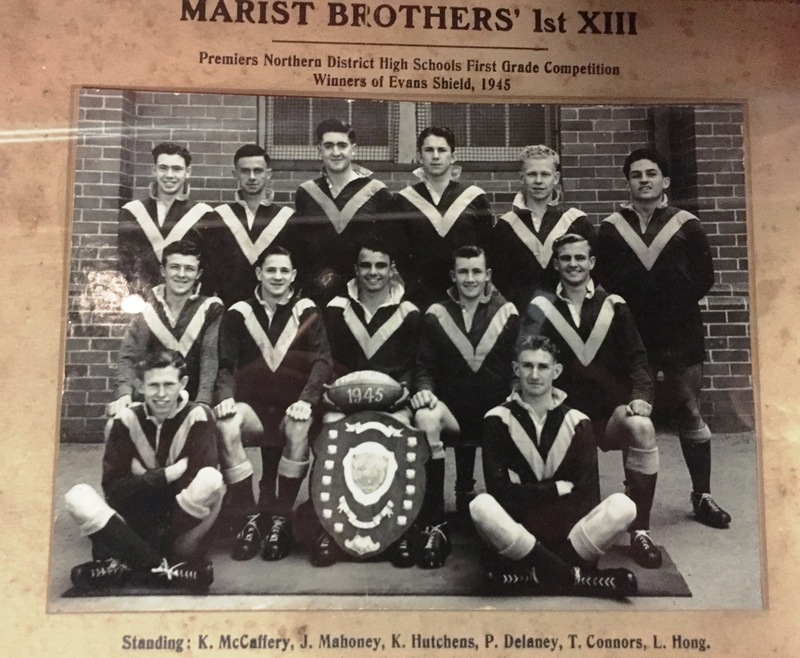 There is a bit of a shared interest, quite a few of the early Newtown players were also prominent cricketers. If you look at the seven guys who have played for NSW in both Cricket and Rugby League most of them have occurred before the 50's, Graeme Hughes is the only exception. Billy Farnsworth is one of those. 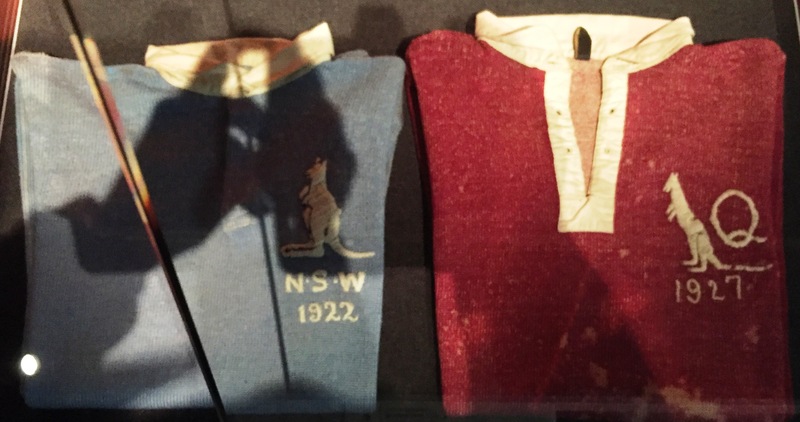 Jack Scott scored the first ever try in 1908 against the Roosters and was later a Test Umpire and he was the first man to take Bradman's wicket. 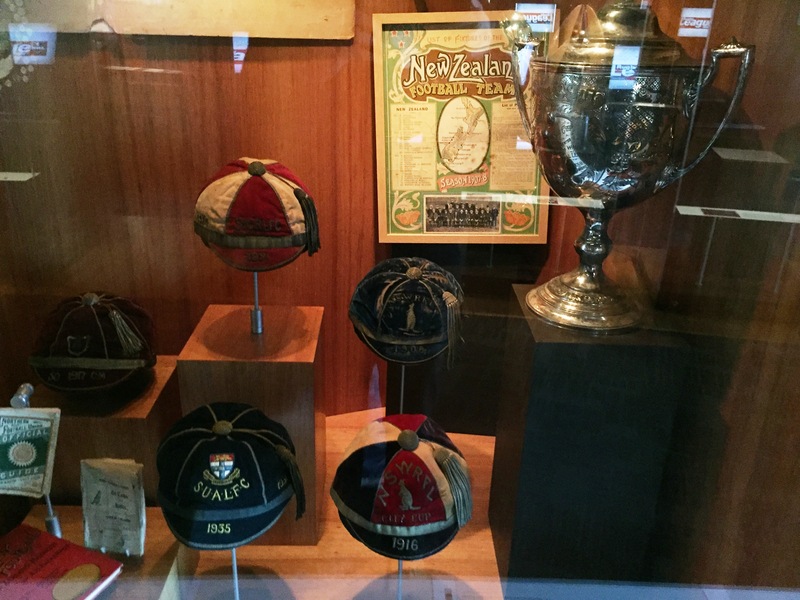 I wrote a letter to Bradman asking whether he remembered these guys as League players, and I asked him about whether he played Rugby League or Rugby Union because the record books only indicated that the played Rugby as a kid. He was kind enough to write back and tell me about his League career and told me he was a Full Back at Bowral Public School in 1920. He said he was too small and wasn't real good at it. What other books have you written What inspired you to write the newtown book ? Best book since the bible I tell people. I have done a couple of books on Newtown, I did the photographic history of Newtown in the Centenary year of 2008. The first one was called 'Out of the Blue' and the second one was called 'Through Blue Eyes'. The first one is sold out, they threw the plates out. Doing the two Newtown books was a labour of love. It has given me more pleasure than I could of have got otherwise, I look back and I feel privileged from the people I got to meet, the range of people I got to meet. I showed Barry O'Farrell around here to have a look. People who have a genuine interest like yourself, I like to show them around, because you get more out of the experience. 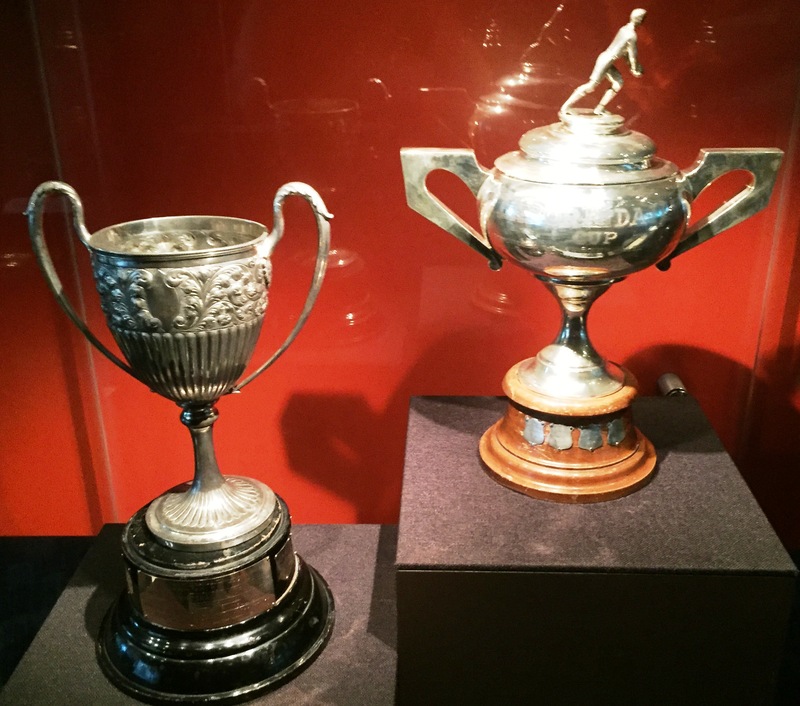 How did you get the job at the Rugby League Museum? 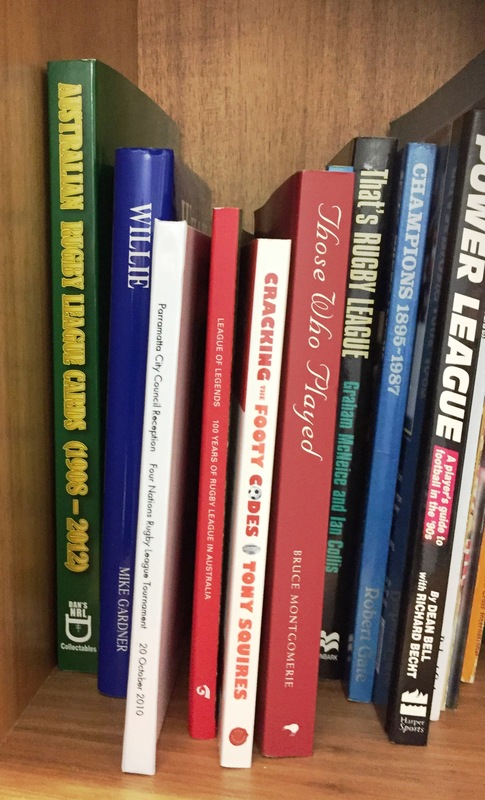 When I was teaching I gave it away to do a bit of journalism and writing of my first Newtown book. Then in 1994 I was doing a bit of stuff for Big League. In 1995 there was supposed to be no Reserve Grade and it was my plan to start up my own magazine for the competition that replaced Reserve Grade. 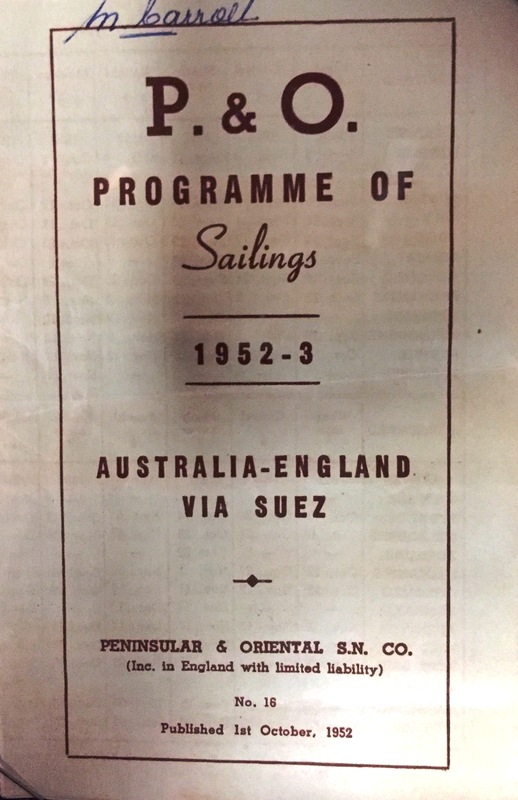 That became the Sydney League News, I nearly lost my house in the first year and it put a great strain on my marriage. 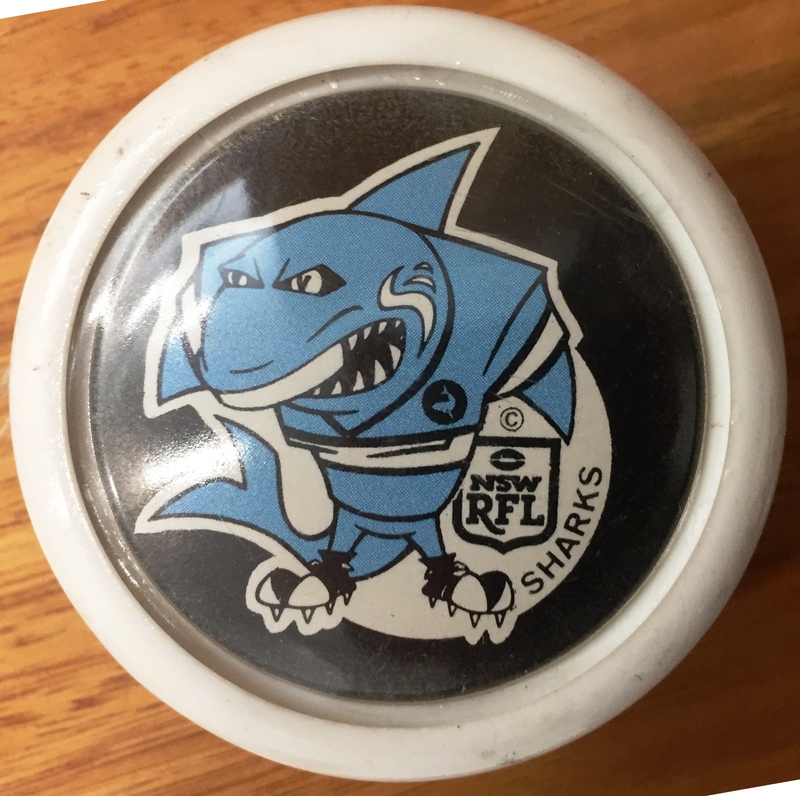 We managed to stick it out and part of the deal with that I was to do a couple of days a week with the NSWRL, subsequently that turned into a full time position. It was basically doing the magazine, helping run the Metro Cup and basically doing the media stuff and coordinating results of matches. I then did the magazine for eight or nine years and Terry Liberopoulos took it over from me and has kept it going and it has grown to the extent that the clubs. 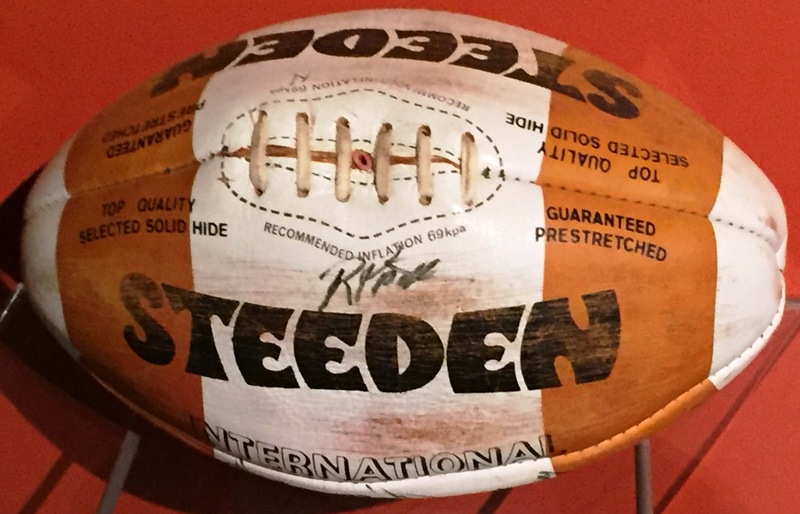 That level of football deserves greater level of scrutiny and support. I was made redundant just before the Centenary year. Geoff Carr said they should speak to me when it was being discussed about opening this museum. 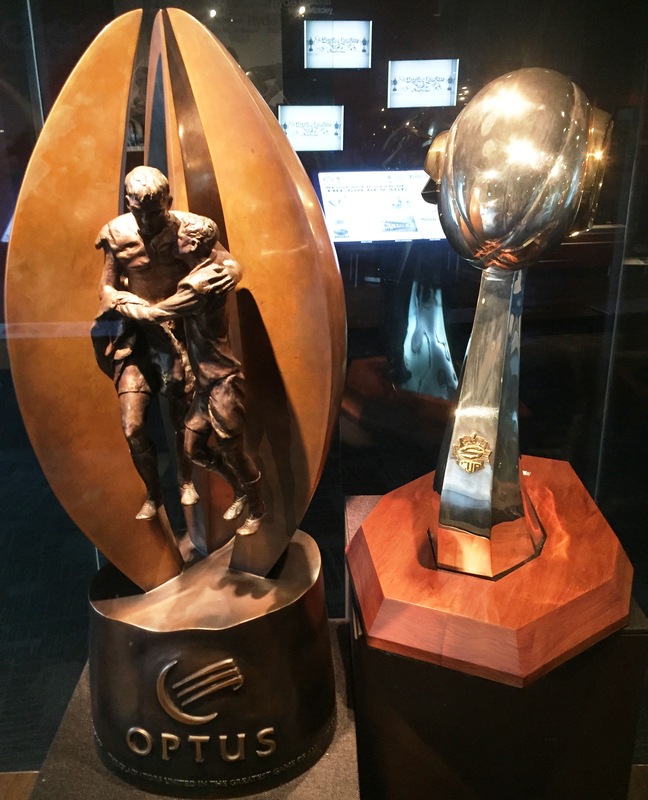 I was involved with the transition from Phillip Street to the National Rugby League Museum. A lot of the day to day stuff fell to me and it was a kid in a lolly shop scenario. When the museum was established and the doors were opened they said we are going to need someone here in a full time position and I was selected for the position. What are your favourite items in the museum? 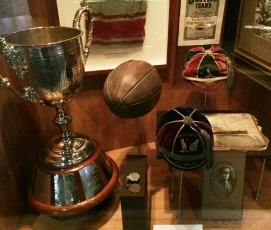 We have a range of the cathedral items, the holy of holy stuff here, such as trophies like the Winfield Cup, we have all of the Big Leagues from 1920. 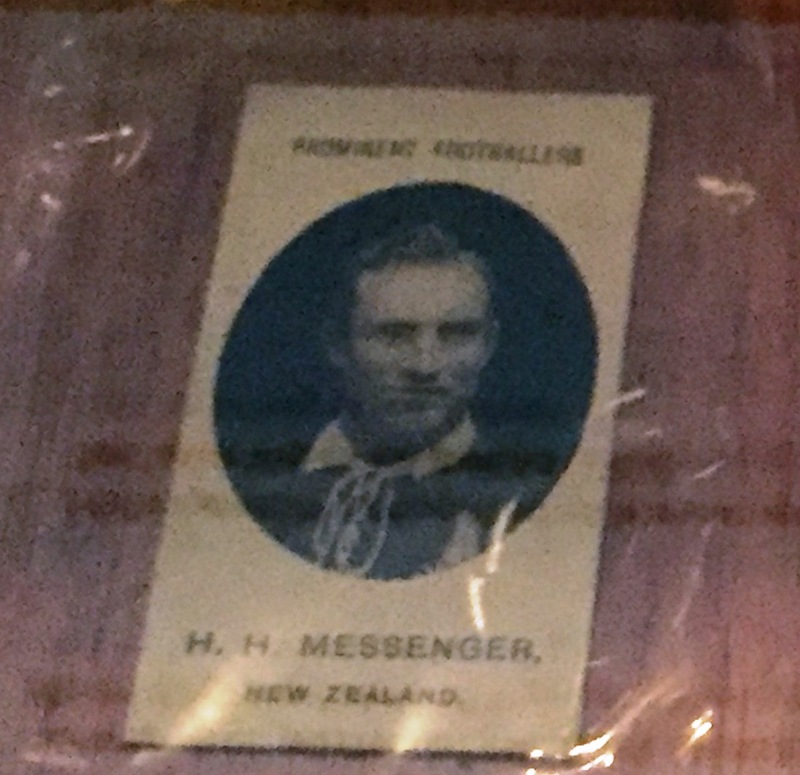 Before 1920 they made match day cards, Harry Hammill, Newtown player and first captain in 1908, was the one who started the Big League. 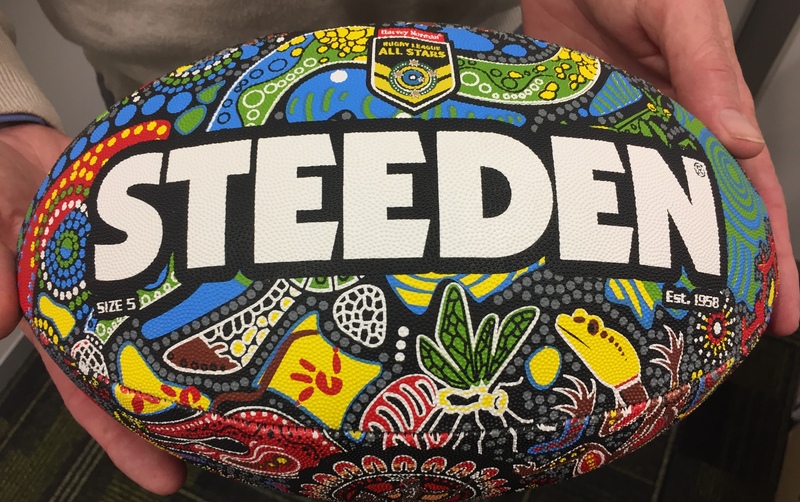 He actually tried to do something similar with the Rugby League Record in about 1913 but I think there was only one or two editions printed and it wasn't the official publication. Having the trophies and that sort of stuff, they are all high end items, we have just taken over the Rugby League Week archives, but some of the ephemeral items that relate to particular people for example we have one of Hammill’s scrap books and in there, there is a card relating to his daughter who died in infancy. We have quite a few of Clive Churchill school team photos which were getting thrown out during a council clean up in Newcastle and someone called up and said you might want to come and collect these. There was teams for each year and one year there was a lovely little exercise book where somebody had written each week who they played against, description of the match, recorded the scorers. It was about 1941 when Churchill was only a kid at school. It is beautiful social history that you couldn't get anywhere else. We have had functions in here, high range things. The best we had was the reunion for the 1974 Western Division team in 2014. It was a real privilege and each of these guys have their own stories. We have had functions for Kangaroo reunions. What are the highlights of your collection? 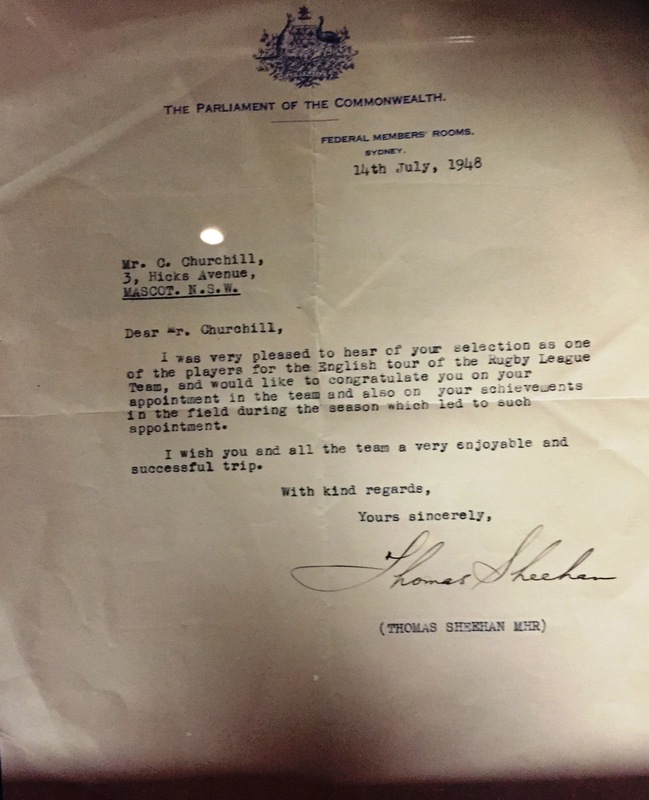 The Bradman letter would be one of my top five things. I have a Kangaroo jersey that I have signed as well. 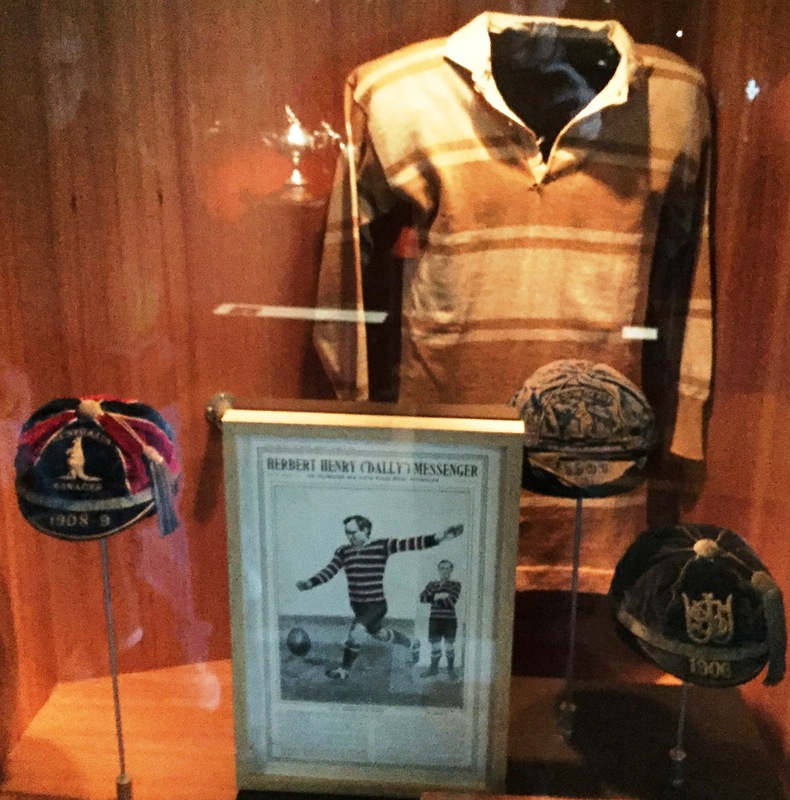 Most collectors go for a particular area of expertise, whether it be footy cards or programs. I have always loved the ephemeral items. When I was a kid I loved footy cards and the associated packaging on them as well and the magazines and stickers as well. I have just gathered stuff like that along the way through and kept them. For example in 1995 when they did the Redhead Matches, I have a full set of those, I have some footy cards from 1992 where I haven't opened the box. When I was teaching I often said to the kids if anyone in your family had old footy cards they didn't want any more I would buy them from them. They were getting thrown out anyway and if I was going to swing them $10 or $20 they win as well. I think the pictures of cards and stickers looked great in my Newtown book and those images look fantastic on T shirts. I am just stuck in the past. My favourite era is what would be most relevant to most people and that is the period before you become an adult. Maybe your memory is a little bit better and you are more impressionable. The art work involved with the stickers from the late 60's and early 70's such as Wacky Races, I think they are classic, they are almost back in fashion now. You still follow Newtown these days? I go to Henson Park whenever they play, I missed the first home game this year and that was the first home game I have missed in about 10 years. Total Value of your collection? It is subjective and people always think what they have is worth more. We don't have an acquisitions budget. The scales of economy in Australia make it very difficult to pay for collections. Payment creates all sorts of issues, for example if we buy a collection from one player and then the next guy comes in and wants more because he was a better footballer. We used to get school kids come in for a visit but there is no parking at the moment. The fact that we continue to exist is an achievement in itself. The busiest days we have at the museum are school holidays. If you had to sell part of your collection, what would you sell first? Being a Bower Bird, that would go against all of my principles, I don't do it for money. I will let my wife answer that question when I pass away!